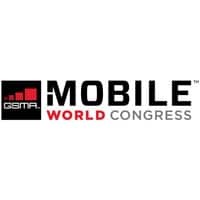 The Internet of Things (IoT) is seen as the biggest business opportunity of 2017 by nearly half of visitors and exhibitors at Mobile World Congress surveyed by the GSMA (48.2%), followed by mobile payments (14.5%) and artificial intelligence (14%). “39.2% of respondents said the mobile operators’ role should be to support banks and financial institutions, while 34.5% said operators are trusted payment providers in their own right,” Mobile World Daily reports. Ten percent of those surveyed said that operators “shouldn’t have a role” in mobile payments, however, with brands such as Apple “better placed” than operators. In terms of IoT opportunities, the survey highlighted the “opportunity for mobile operators to play a greater role in the IoT value chain than simply providing the connectivity”.